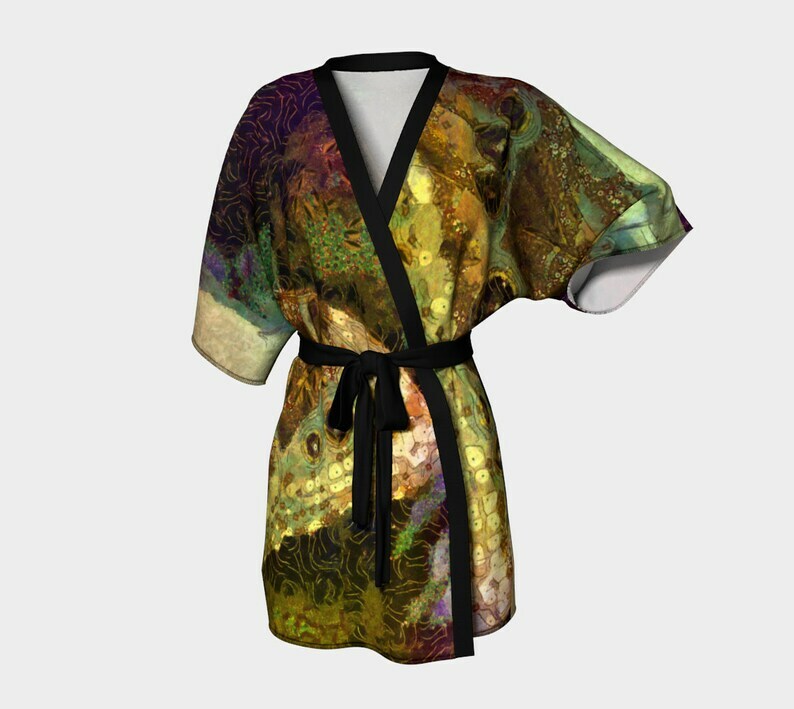 Unisex printed lightweight Kimono robe in Silky fabric, sheer Chiffon or soft Peachskin Jersey fabric. Chiffon Fabric: lightweight chiffon fabric, 100% polyester Sheer transparent Design shows through Both Sides. Bamboo fabric trim. Matching Chiffon belt in black or gray. This is a custom made item with my artwork. Once the order is placed, manufacturing begins and no cancellations or returns are accepted as each item is made to order. Images are as accurate as possible but monitors vary. The items are all done by hand from concept to finish and Canadian made with environmentally friendly products. Art meets Fashion through creativity and passion.